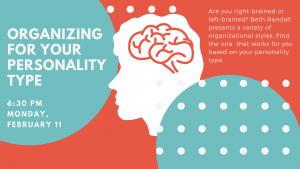 Are you right-brained or left-brained? Beth Randall presents a variety of organizational styles. Find the one that works for you based on your personality type.